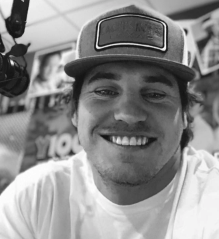 United Stations Radio Networks, Inc., (USRN) has announced that air personality J.R. Jaus will officially take over the hosting duties on the network’s country countdown show, The 20Twenty Country Countdown. Jaus is the morning drive host at Cox Media’ Group’s KCYY, San Antonio, known locally as “Y-100.” J.R. has been interim host for the program for several months, but he’s been named the permanent host starting this week, and the announcement comes from USRN’s EVP/Programming, Andy Denemark, in New York. The 20Twenty Country Countdown debuted in March of 2015, and since its introduction it has remained the most current and most timely Countdown show ever produced for the Mainstream Country radio format because of its unique presentation of two charts in one show. Each weekend, The 20Twenty Countdown presents one 20-song countdown of what’s trending in the digital space for Country music, and that’s followed by a 20-song countdown representing the week’s top song in terms of Country radio airplay. Clearly, streaming and other digital playback of music has altered everything about the ways in which music is consumed, and this show presents the two charts back to back each week. For radio programmers there’s the added plus that the show’s unique format often delivers the top songs in the nation twice in each 3-hour show with roughly 90-minutes of separation, and that closely matches the regular music rotations that radio stations use for the hottest songs of the week. J.R. Jaus is currently the Host of the “J.R. and Beth Morning Show” at KCYY-FM “Y-100” in San Antonio. J.R. has had a huge passion for Country Music ever since he was introduced to some of the giants of Country music while working on his uncle’s ranch located north of Bakersfield, CA, the city where Merle Haggard, Buck Owens and others created the famous “Bakersfield Sound.” J.R. started in radio at the age of 19 in San Diego, CA, and has worked for Clear Channel, CBS Radio and now Cox Media Group along the way. He’s also appeared on television as an awards show host and had been featured on Nickelodeon’s “Victorious” where he co-starred alongside Victoria Justice and Ariana Grande. Most recently in radio, as part of the Cox Media Group, J.R. was heard in afternoons at WWKA, Orlando.